Private suite in restored heritage 6-plex located right across the street from the beautiful Dallas Road oceanfront in James Bay! Cross the street and take a relaxing stroll down the oceanside or grab a coffee at one of the quaint shops just steps away on Menzies Street. Watch as horse drawn carriages pass by our heritage house throughout the day in this historic part of James Bay. Go out on the town in Downtown's inner harbor, just minutes away. Enjoy ocean views from the side of the living room bay window. 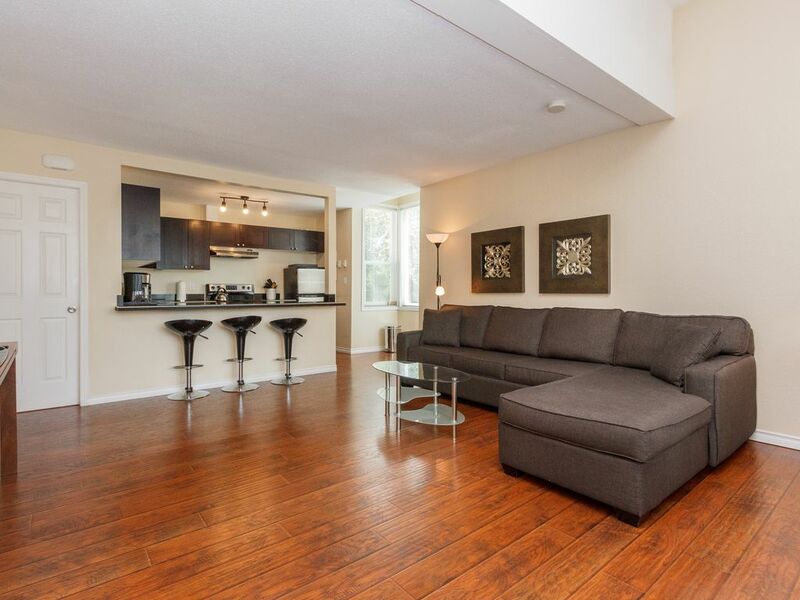 This large 1 bedroom suite on 2 floors was completely renovated in 2011, everything was redone. The kitchen has new espresso cabinets, an island with granite counters and new stainless steel appliances including dishwasher. The bathroom was re-tiled, has a new vanity with a granite counter, new low flow toilet and new marble floors. The suite comes fully equipped with everything you need to enjoy your stay in Victoria! Queen size bed with linens, sectional pull out sofabed, plasma TV with DVD player and digital cable, work desk for your laptop with free wireless internet access, towels, fully equipped kitchen with all cookware, plates, cutlery and more... Just bring your suite case and we'll take care of the rest!